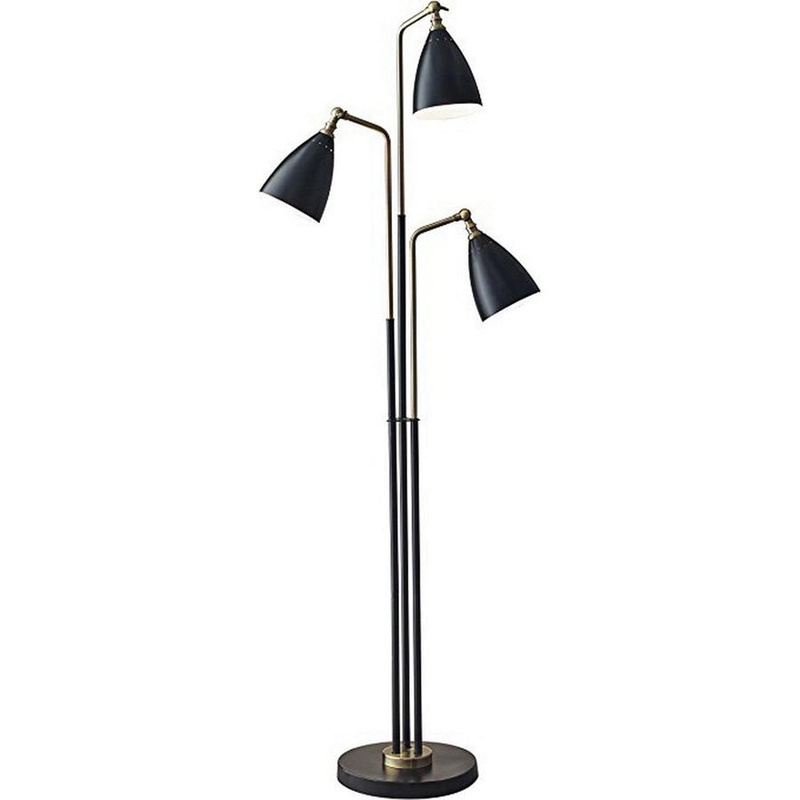 Adesso Chelsea Collection 3-Light tree lamp in black with antique brass finish, features metal base construction. This mid century modern style lamp uses three 60-/13-Watt incandescent bulbs. Floor mountable lamp measures 16-Inch x 60.5-Inch.